The Karađorđević (Serbian pronunciation: [karad͡ʑǒːrd͡ʑeʋit͡ɕ], Serbian: Карађорђевићи/Karađorđevići) is a Serbian dynastic family, founded by Karađorđe Petrović, the Veliki Vožd ("Grand Leader") of Serbia in the early 1800s during the First Serbian Uprising. The relatively short-lived dynasty had an ongoing blood feud with the Obrenović dynasty after Karađorđe's assassination in 1817, which was authorized by Miloš Obrenović. The two houses subsequently traded the throne for several generations. In 1903, the Serbian Parliament chose Karađorđe's grandson, Peter Karađorđević, then living in exile, for the throne of the Kingdom of Serbia. 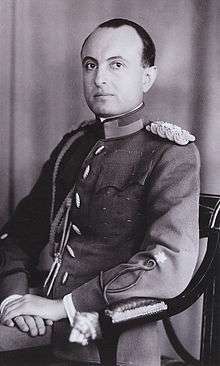 He was duly crowned as King Peter I, and shortly before the end of World War I, representatives of the three peoples proclaimed a Kingdom of the Serbs, Croats and Slovenes with Peter I as sovereign. In 1929, the Kingdom was renamed Yugoslavia, under Alexander I, the son of Peter I. In November 1945, the throne was lost when the League of Communists of Yugoslavia seized power, during the reign of Peter II. According to some researchers, Karađorđe's paternal ancestors most likely migrated from the Highlands (in what is today Montenegro) to Šumadija during the Second Great Serb Migration in 1737–39 under the leadership of Patriarch Šakabenta, as a result of the Austrian-Turkish War (in which Serbs took part). Serbian historiography accept the theory that Karađorđe's ancestors came from Vasojevići. Some conjecture has arisen about where the family ended up after arriving in Šumadija. According to Radoš Ljušić, Karađorđe's ancestors most likely hailed from Vasojevići, but he has said there is no certain historical information on Karađorđe's ancestors or where they came from, folklore being the only real source. Most likely, Karađorđe's ancestors hailed from Vasojevići. Grigorije Božović (1880–1945) claimed that the family were Srbljaci (natives) in Vasojevići territory. Contributing to Srbljak theory is the fact that the family celebrated St Clement as their Slava until 1890, while the patron saint of Vasojevići, i.e. Vaso's descendants is Archangel Michael. King Peter I was granted to change his Slava to St Andrew the First-called by Belgrade Metropolitan Mihailo in 1890, following the death of his wife, Princess Zorka, thus honoring the date by Julian calendar when Serbian rebels liberated Belgrade during the First Serbian Uprising. Furthermore, King Peter chose Duke of Vasojevići Miljan Vukov Vešović to be his bridesman during his wedding to princess Zorka in 1883. 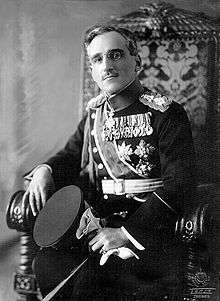 Upon being asked by his future father-in-law prince Nicholas why he chose Miljan amongst various Dukes of Montenegro, he replied that he chose him because of heroism and relation describing him as Vojvode of my own blood and kin. His son, Alexadner, who was born in Cetinje was nicknamed Montenegrin The Vasojevići tribe claim descent from Stefan Konstantin of the Nemanjić dynasty. The Vasojevići were proud of Karađorđe, and saw him as their kinsman. Montenegrin politician and Vasojević Gavro Vuković, supported this theory. 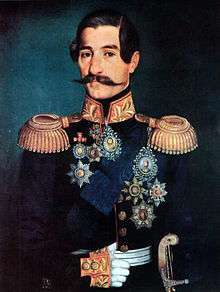 Accordingly, Alexander Karađorđević (1806-1885) was given the title "Voivode of Vasojevići" by Petar II in 1840. Other theories include: Montenegrin historian Miomir Dašić claimed that Karađorđe's family originated from the Gurešići from Podgorica in Montenegro. Folklorist Dragutin Vuković believed that Tripko Knežević–Guriš was Karađorđe's great-grandfather; Vukićević, writing in 1907, said that in the surroundings of Podgorica, there is a local claim that Karađorđe's ancestors initially came from Vranj. The family claimed descent from the Vasojevići tribe (in Montenegro) and had emigrated in the late 1730s or early 1740s. The family lived in Mačitevo (in Suva Reka), from where grandfather Jovan moved to Viševac, while Jovan's brother Radak moved to Mramorac. Karađorđe Petrović February 15, 1804 – September 21, 1813 Leader of the First Serbian Uprising. Deposed and exiled to Austria. Collapse of the First Serbian Uprising. Alexander September 14, 1842 – December 23, 1858 Abdicated. Return of Obrenović dynasty to power. Petar I June 15, 1903 – August 16, 1921 In exile from November, 1915 due to the Serbian Campaign. Proclaimed King of Serbs, Croats and Slovenes on December 1, 1918. Alexander I August 16, 1921 – October, 9 1934 Changed title to "King of Yugoslavia" in 1929. Paul October 9, 1934 – March 27, 1941 Prince Regent for Peter II. Peter II October 6, 1934 – November, 29 1945 Prince Paul acted as regent until ousted on 27 March 1941; exiled on 17 April 1941 and deposed on 29 November 1945. Prince Alexander with his wife Princess Katherine. The Karađorđevićs are active in Serbian society in various ways. There is a view that constitutional parliamentary monarchy would be the ultimate solution for stability, unity and continuity. In addition, they support Serbia as a democratic country with a future in the European Union. The last crown prince of Yugoslavia, Alexander, has lived in Belgrade in the Dedinje Royal Palace since 2001. 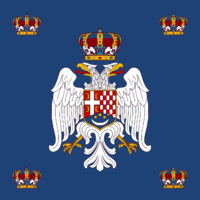 As the only son of the last king, Peter II, who never abdicated, and the last official heir of the Kingdom of Yugoslavia he claims to be the rightful heir to the Serbian throne in the event of restoration. Prior to the fall of Slobodan Milosevic, he personally united the parliamentary opposition in several major congresses. In the palace, he regularly receives religious leaders and strives, as opportunity permits, to demonstrate his commitment to human rights and to democracy. The Karađorđevićs are much engaged in humanitarian work. Crown Princess Katherine has a humanitarian foundation while Crown Prince Alexander heads the Foundation for Culture and Education, whose activities include student scholarships, summer camps for children, etc. The Karađorđevics are also prominent in national sports activities. 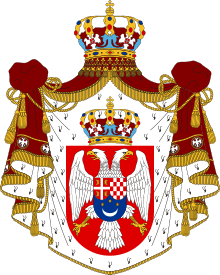 The Karadjordjević family initially was a Serbian Royal House, then the Royal House of the Serbs, Croats and Slovenes and then the Royal House of Yugoslavia. 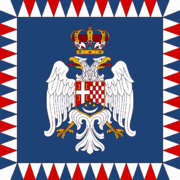 When they last reigned they were called the Royal House of Yugoslavia. Crown Prince Alexander was born in London but on property temporarily recognised by the United Kingdom's government as subject to the sovereignty of the Yugoslav crown, on which occasion it was publicly declared that the Crown Prince had been born on the native soil of the land he was expected to eventually rule. ↑ "Srpsko Nasledje". Srpsko Nasledje. Retrieved 15 August 2012. 1 2 Bogdan Popović, Jovan Skerlić (1932). Srpski književni glasnik, Volumes 35-36. p. 282. ↑ Felix Phillip Kanitz 1987, p. 334: "Као што је доказао Ђукић10, велики српски борац за слободу угледао је свој први дан живота 1752. у Вишевцу, окруженом густом храстовом шумом, где се његов отац доселио из Васојевића у Црној Гори." ↑ Pregled, Volume 9 (in Serbian). Nova tiskara Vrček i dr. 1933. Васојевићи нарочито радо причају о војводама Србије који су имали везе са њиховим племеном или из њега старином потичу. Говоре често о Карађорђу, зову га Карађоко и сматрају га као свој изданак. ↑ "Његово мишљење је почетком прошлог века прихватио и историчар Вукићевић, прилажући као доказ диплому коју је 1840. године владика црногорски Петар II Петровић Његош издао Вождовом сину Александру Карађорђевићу, у којој се каже да Вожд потиче од „древних кнезова наше провинције Васојевића".". ↑ Király & Rothenberg 1982, p. 23. Gavro Vuković (1985). Slobodan Tomović, ed. Memoari, Volume 2. Obod. Felix Phillip Kanitz (1987). Srbija: zemlja i stanovništvo od rimskog doba do kraja XIX veka, Volume 1 (3 ed.). Srpska književna zadruga. Milenko M. Vukićević (1907). Karađorđe: 1752-1804. Štampano u Državnoj štampariji Kraljevine Srbije. Wikimedia Commons has media related to House of Karađorđević.